1. Here’s What It Really Takes to Plan a Royal Tour. Gawd, that seems stressful. 2. This makes me so dang mad: “Dear Drivers Who Veer Left to Turn Right, I Hate You. WTF Is Wrong With You?” Seriously. WHAT IS YOUR PROBLEM. 3. I do not know how to feel about The Romanoffs yet. I think I kind of like it, but I also don’t know. I just want someone to create a Crown-esque series about ANY OF THEM while they actually reigned. HOW HAS THIS NOT HAPPENED. And the use of the “f” in the title still gives me rage. 4. Sari and I saw A Star is Born last week and thought it was great (the Judy Garland version is the gold standard, but I still like this one a lot). I still cannot believe that was Andrew Dice Clay! 5. 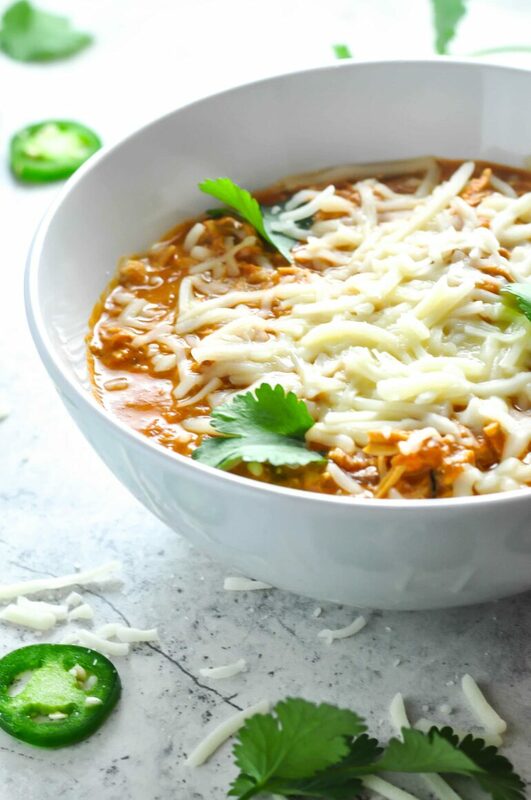 I made this shredded chicken chili recently and have been eating it non-stop. I am not keto (I dip bread in it), but it is so delicious and filling. I also accidentally made it with vegan cream cheese and it still tastes great, so it would be an easy dish to make dairy free. 6. The Best Halloween Movies Available on Amazon Prime. THE BURBS!!!! 7. Someone dug into my brain and made this move FOR ME. EEEEEK I cannot wait!! I love some tragic WWII romance! 8. I just learned what “hepeating” is and DAMN that is so perfect. Happens to me multiple times a week. 9. “Louis C.K. Comments On ‘Hell’ Year: ‘I Lost $35 Million In An Hour’” Hmmm. Wonder what the women who he harassed lost? No one cares. Worry not. He will be fine.